"How Did You Learn Your Partner Has ADHD?" The public mostly fails to understand: We can live with someone who has ADHD for years and not know it. 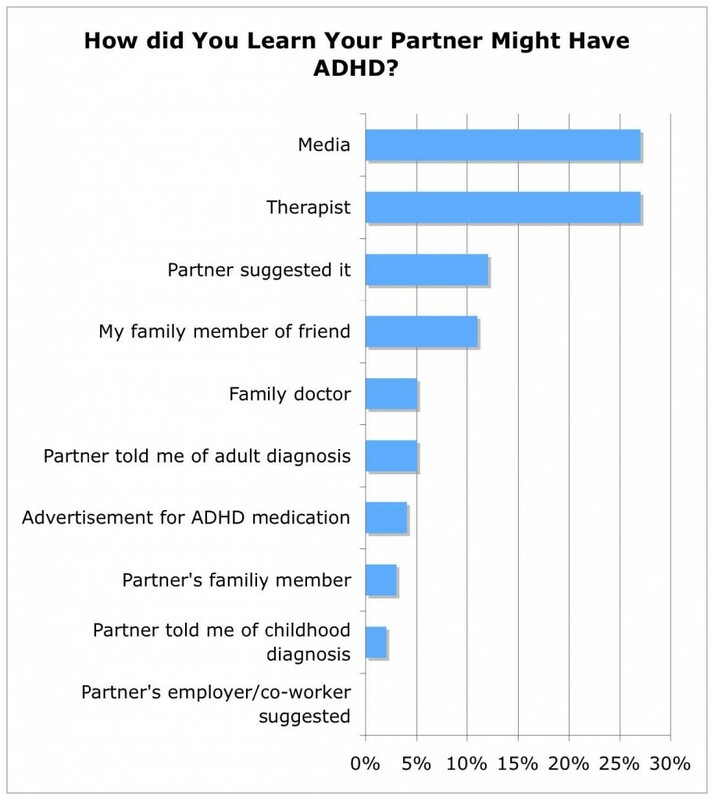 These ADHD Partner Survey results detail how respondents did finally learn. Only 1 in 10 U.S. adults thought to have ADHD are diagnosed. Wow, eh? That research is a few years old; the number could be greater now. The ways in which adults today stumble upon the idea that they might have ADHD are myriad and random. 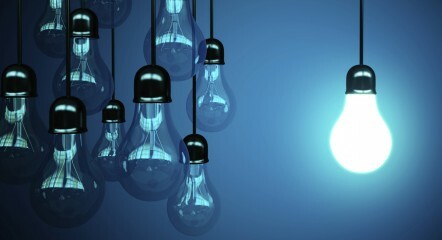 But there are endless other predictable and oddball ways the discovery comes to light. My ADHD Partner Survey asked respondents, “How did you learn your partner might have ADHD?” and offered the options shown in the chart below. How Did You Learn Your Partner Might Have Adult ADHD? For most respondents, the media and/or their therapists connected their partner’s behavior to ADHD symptoms. And, they did this five times better than the family doctor. For a minority of respondents (partners of adults with ADHD), their ADHD partner told them of their childhood or adult diagnosis. Only about 13 percent reported that their ADHD partner is the one who made the potential discovery. Contrary to widely held myth, advertisements for ADHD medications did not send adults flocking to psychiatrists for a prescription. But I believe they remain an important way to let the public know that ADHD exists. • My husband asked our doctor about it years ago but was told, wrongly, “If you can read a book, you are not ADHD.” A therapist said my husband was passive-aggressive. 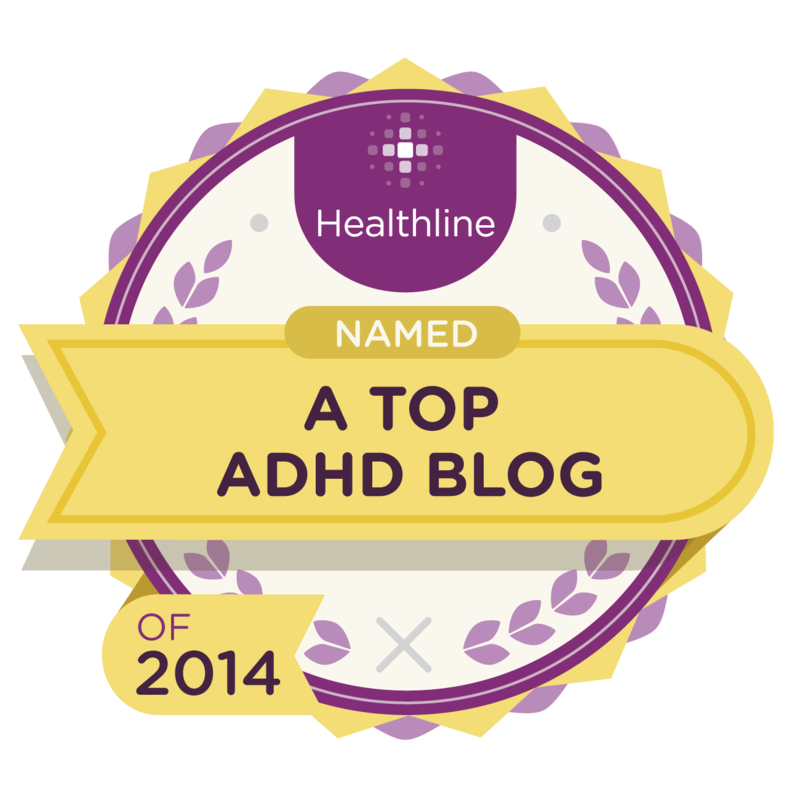 I read an article with a behavior list resembling passive-aggression, but it was for ADHD. • My boyfriend was super smart but couldn’t read aloud without stammering. He also missed lots of details and ”distorted the facts.” I thought he was dyslexic, but it took years of researching this issue for me to figure out he probably had ADHD. • As a therapist, I work with schoolchildren, some with neurological problems. I always sensed something neurological was going on with my partner. Then her 20-year-old nephew was diagnosed, with symptoms remarkably similar to hers. • Our (fourth) couples therapist suggested he be tested, since in her experience, every time a partner said, “My spouse acts just like a teenager” the “teenager” usually had ADHD. Bingo! It didn’t hurt that he was 40 minutes late to our first joint appointment. • I knew something was wrong and started desperately searching for answers on the web by “Googling” phrases like “Why do I hate my spouse?” Finally, I learned about ADHD, and boy did it fit. • I was looking into helping our younger daughter and noticed that my husband met many ADHD criteria. What really opened my eyes was when my therapist said I wasn’t the one with the problem, and suggested I stop taking antidepressants and instead encourage my husband to be evaluated. • We watched a TV show where a highly creative person described his life before and after medication. Joe said, “Hey, that’s me!” He was diagnosed shortly afterwards but never pursued treatment. The doc said it was Joe’s responsibility to follow up. I didn’t know back then that “poor follow up” is a common symptom in and of itself! • I am an elementary school teacher. 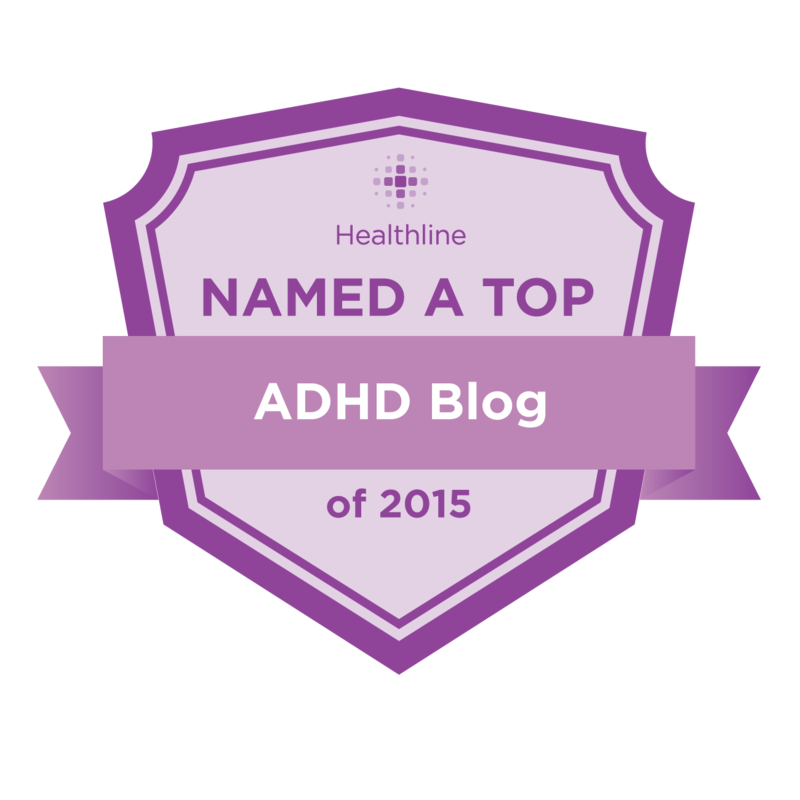 Many of my students have ADHD, and it is obvious many of their parents do as well. Gradually, I made the connection to my husband’s behavior. • I was in graduate school studying psychology, and a fellow student told me my husband’s actions sounded like ADHD. I had just had a class that covered ADHD for children, but they never mentioned adults. The behaviors are often different, so it just didn’t connect in my mind. • Seeing our doctor for stress once again, I told him that no, it wasn’t from dealing with my son, who has autism; it was from dealing with my husband. The doctor casually said, “It’s probably because he has ADHD.” I talked about it with my husband’s cousin, who works with special needs kids. She confirmed my husband has a “classic case”! Ha! I wish someone had let me in on this little secret a long time ago. • After we’d been together for four years, my wife’s “refusal” to communicate plus her forgetfulness, disorganization, and poor judgment led me to think she should seek a professional evaluation. Fortunately, the psychologist recognized ADHD right away. • My husband’s friend was diagnosed. When he described to us the behaviors related to ADHD, we realized that my husband had them, too. Around the same time, his father was also diagnosed. • His professor suggested it, based on how many right answers my boyfriend had crossed out on a test and changed to wrong ones. • I suggested that my wife’s son might have it. Her ex-husband seemed to have it, too, it was less clear if she had it. After “crashing and burning” a few years later, though, she was diagnosed. Her high intelligence meant she had always coping strategies but, by age 45, she’d hit the wall. • We were watching TV and saw a commercial for medication. My boyfriend said that was exactly how his brain worked. We knew his nephew had ADHD, and he was a lot like him as a kid. He took an online screening quiz, which indicated he might have it. But he scoffed, saying they were trying to sell medication. I took the quiz, and it said I probably did not have AD/HD. He decided to make an appointment for an evaluation, and was diagnosed. • My girlfriend was taking a calculus course for the third time, the only thing stopping her from completing her degree. When she failed the course again, the department head suggested that she might want to be evaluated for ADHD. • I’d read a book about Adult ADHD, to better understand some friends who have ADHD. Still, I didn’t notice symptoms in my partner for the first six months, because she was in “hyperfocus mode” all the way. It seems the novelty of the new relationship was so stimulating, it helped her brain function better. After living together full-time, though, it only took about three months to realize that she probably had AD/HD. It took three years for her to agree to an evaluation, and sure enough, she has it. How did you and/or your partner make the connection to ADHD? And, has that made a difference in your lives? Please share a comment below; there are no annoying codes to enter. Next time: What do you wish you’d known earlier about ADHD ? Our oldest son was diagnosed with severe AD/HD when he was in kindergarten and almost 5 years old. Our lives had been hell before that, and I did all sorts of research on the Internet and finally read Driven to Distraction. Aha! I knew that our son had AD/HD. I then began that to suspect that my happy-go-lucky, born-anew-every-day husband, who often would zone out in the middle of our conversations, had AD/HD too. Our son’s therapist evaluated my husband, and yep, I was right. She eventually diagnosed severe AD/HD in my father-in-law and, years later, mild AD/HD in our youngest son. I’m the only one in our house without AD/HD. Are you still there? Can you update us or contact me? What type of response do you want from Katherine? That is a very old comment. I happen to know Katherine and know that she and her family are doing well. Oh—I forgot the how-diagnosis-has-made-a-difference part! Our lives are far less chaotic and I am no longer constantly feeling hurt by my husband’s behaviors, because now I know that they’re not intentional. He’s learned new social skills and is now successfully self-employed, and our sons are flourishing in school. My partner always told me that he felt different than everyone else growing up. He is an extremely charming and genuine person but there were always little “quirks” that would come up and turn into major incidences that did not seem real and would be hard to explain to anyone looking in from the outside that seemed to think what could possibly be your problem? You seem to have it all. But you can not explain when things go topsy turvy and you don’t have an answer. You can’t tell the extremes that everything goes to because this is not how you were raised to be and you think you are a much stronger person than what is happening to you right now . Fights appear out of thin air while you are looking like a cartoon character shaking your head and going Whaaaat???! Who is this person that I love??? and how could my judgment be soo off? And then he goes back to being “normal”. Not just normal but all your dreams come true. I wanted to find the bottom of what was going on, I wanted to have a family with this person and I could not understand our dynamic even when he said that I was the person that he would want to have kids with too. My partner realizes that there is most likely an ADHD diagnosis that should be made but I feel he is not ready to take accountabily and accept all the years of undiagnosis means and who that makes him in the long run. I began suspecting my husband had ADHD after doing some research and reading some books on it. Some of the stories of his childhood struggles (tics, not being able to stay seated in school, riding a borrowed bike to the movies and then walking home, forgetting he had ridden one to the movies, etc.) and struggles in our marriage, finally could be explained in the context of ADHD. It never dawned on four different marriage counselors that this could be the root cause of our problems. What an eye opener! My husband has subsequently been diagnosed with ADHD, and we will explore treatment in the light of this new understanding. My husband and I had been in counseling with a therapist after 19 years of marriage. The therapist told me he suspected something and asked to see my husband for a few sessions by himself. After a few sessions he tested my husband and found him to be ADD. We then tested our 18 year old son too who struggled in school but with no teacher ever telling us to have him tested for ADD. Since there was no hyperactivity it was hard to recognize as ADD. We have had many struggles and now I can say that most of them can be atributed to ADD. I have had my frustrations because of how the relationship is affected and I have had to educated myself about this disability, actually much more than my husband is willing to educate himself. He is currently on medication, but that too was a struggle for him to admit that he needed to take medication for a disability. My husband’s nephew was diagnosed with ADD and his sister told me she was sure that my husband was AADD. We had been to marriage counselors repeatedly and I was at my wit’s end with trying to cope. My adolescent daughter was creating strategies to avoid confrontations between her dad and myself; she was behaving in a more mature manner than he was. I had talked repeatedly with my sister-in-law about my difficulties in coping. My husband hasn’t felt that medications have helpful; though I keep hoping for some miracle pill. Most of the time, I know how to cope, but he still makes indredibly ridiculous decisions which cause great difficulties. My husband was diagnosed after I saw the recent Dr. Phil show w/Dr. Hollowell. A young wife was crying and saying how she was so exhausted and stressed from having to take care of everything…every word she spoke I have spoken over the years (to therapists, my mom, friends). I immediately researched the disorder and found that it described every last one of his behaviors. Sadly, we have taken him to a number of different therapists, counselors and psychiatrists over the years….obviously none of whom recognized a disorder. My husband laughed hysterically when I told him this about his mom recently…he says he was none of those things as a child…she’s just being a mom and remembering it the way she wants to. What it’s meant to us is that we’re still fighting…the childishness, the stress caused, the chaos, the extremely expensive mistakes, the negative behaviors….but we’re not fighting in the dark anymore. I was diagnosed with ADD (inattentive type) by a super smart diagnostician psychiatrist. It was a shock to find out in my late 50s that this neurological disorder was the root cause of so many of my problems. I wonder how many of our issues stem from us both having ADHD…We both are sloppy messy hoarders, super creative, interested and interesting, either one of us might go on a quick errand and come back many hours later forgetting why we had gone out to begin with… We both have a difficult time with time..,subscribing to the theory that there are really only two times: Now and Not Now.. Both of us have an early secret use of street stimulants… mine was to take to cross tops at about 1/2 hour before I actually had to get up. His was secret use of meth and cocaine (snorting). We no longer live together though I still love him and he says he loves me. In retrospect it was his lack of attention to ME that made me suffer. It seemed and still seems like he down not give me a second thought. And I’m constantly waiting to bask in the glow of his very infrequent attention. I feel that if he really loved me and wanted me he would call me every day and want to see me. This is not the case. I knew when we met 30 years ago that the only way I would get to see him as much as once a day was to move in together. I have fallen for other men who act like they adore me, care about me, call if I’m gone for too long. B does not seem to notice if I’ve been out of town for a week! I want so much to believe that his lack of attention and caring for me is due to ADHD and that he really loves and adores me as I do him. I feel like one of his cast off gadgets gathering dust in the corner. Is there any help for us? Thanks for your comment. It perfectly illustrates my observation that dual-ADHD couples can experience the same challenges as “ADHD and non-ADHD” couples. You ask the question asked by many partners of adults with ADHD: Does the person truly love me but ADHD symptoms get in the way, or is that wishful thinking? In many ways, loving a person over the long-term seems a “higher-order” brain process. Through thick and thin, it involves all the Executive Functions (planning, organizing actions toward a goal over time, initiating, remembering the past to inform the present and future, etc.). For whatever reason, some people have less access to such capacity. For some adults with late-diagnosis ADHD, medication might help them to tap into such capacity. They become less impulse-driven and can better think longer-term and bigger-picture. For others, behavioral patterns were set a long time ago. Unless something drastic happens to get their attention, little change will happen. Then, too, there is the rest of personality to consider. Maybe you two could talk about checking out legitimate treatment and see how it goes? Mine was “diagnosed” by a lay person over the phone! I got to talking with a customer about SSI and mentioned my husband was on it. She asked why and I said the counselors say it’s depression, but I know that’s not right. We discussed the issues he had and she said “It’s ADHD”. Gave me some reference materials and a doctor’s name. All her family had it. I got a book and it described him to a tee except for hyper issues. Turns out he is inattentive. I’d never heard of that before. At first he was hesitant to go on meds. He thought he wouldn’t be himself any more, but they have done wonders along with an anxiety med. He’s still on SSI. He still has problems, but he’s not raging and putting holes in the walls anymore. And yes, it has made it better for me knowing that he wasn’t doing those awful things on purpose and is working toward improving. All I can ask is that he try. Considering that he’d been in counseling for over a decade when I married him 16 years ago, why couldn’t he be diagnosed correctly? Wow, Penny. Counseling for 16 years and ADHD entirely missed. And people wonder why I urge extreme caution in choosing a therapist, and to get educated by ADHD first. Shew. My husband’s older cousin who was a retired educator told me that my husband had showed signs of ADHD since he was a small child. Boy, did that clear up some of his puzzling behaviors that I just could not understand! It took a long, long time for me to actually figure out what was going on with him and the way his brain sometimes worked (to his disadvantage and to mine). Our college-aged son was being evaluated for ADHD, ultimately being given the diagnosis of Inattentive ADD. At the end of the evaluation, the three of us were sitting together, my husband and me with our son between us. We were each given a copy of our son’s responses. When asked for our impressions, my husband said, “They look normal to me.”, at which point I said, “You’ve got to be kidding!”. It was then that I ralized that my husband also had ADHD. I meet many conditions on ADHD, and started medication two years ago to help my focus. Living with a spouse also affected with a mental and personality disorder, it was a serious shock last week when she started stating an inevitable outcome for our relationship: divorce. I would love to read the articles and online information she claims to have discovered, I would like to find and pursue professional help if available, but she is very secretive about it, along with her life online. I now started meeting with a therapist regularly to help with fear of abandonment issues. I haven’t finished reading your book, , but I keep challenging her final statement: did my condition and I really drive her to this? And what is is about online information that would lead a spouse to divorce with ever seeking to help? How would I know if I distort facts (someone suggested this to be part of the list). I would hate to wake up one day and realize there was something I could have done different, but wasn’t aware of it, or wasn’t given the opportunity to. What you describe—one partner having late-diagnosis ADHD and the other having a personality disorder (and some other unstated mental condition)—can create an immense amount of difficulty in teasing out all the factors. Perhaps your ADHD-related challenges exacerbated her struggles, or vice-versa. Or both. I’m not sure what you mean about the online articles that would cause someone to seek divorce. 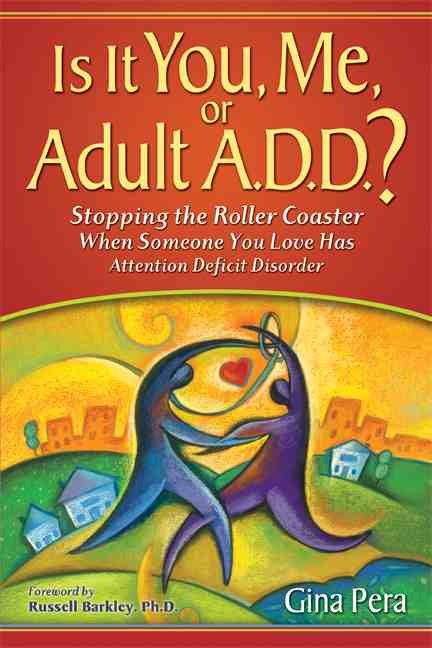 Pretty much all the basics about adult ADHD’s potential impact on relationships is covered in my book. So, keep reading that. Sometimes, the partner of the adult with poorly managed or unrecognized ADHD will read my book and suddenly understand what has been happening throughout the course of their relationship. They stop accepting blame delivered by their ADHD partner, and suddenly see that the problems weren’t all their fault. It can make a person very, very angry. Sometimes this time is short-lived. Then, they move past those emotions and onto working with the ADHD partner on diagnosis, treatment, and collaborative strategies. Sometimes, the angry is too deep — and the ADHD partner’s self-awareness too superficial. 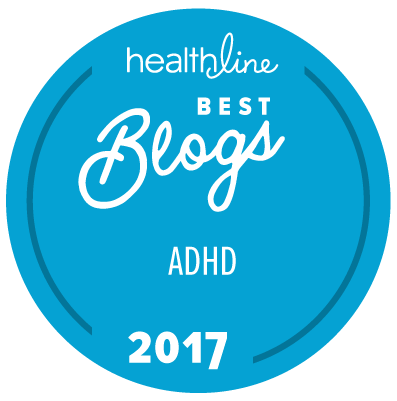 Check out this two-part post, from the blog I used to write for CHADD (the non-profit for ADHD). I think you might find it very illuminating. 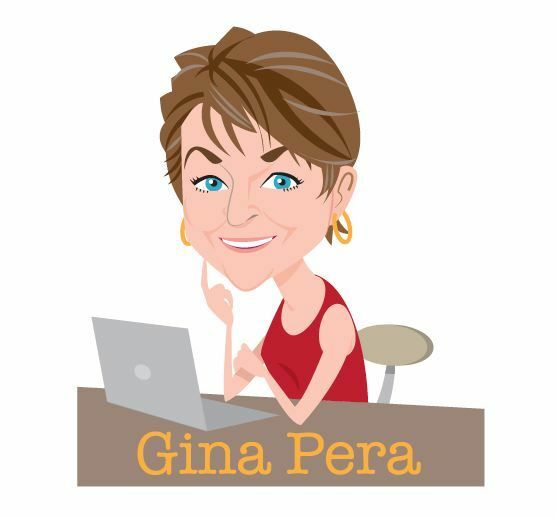 Thank you Gina, both my wife and I have childhood trauma, and although I thought I could indeed help toward her restoration, and she mine, we have hit a wall. Her conditions include DID, PTSD, and a long list of intolerances and sensitivities to the environment, and people. We moved about 20 times in 10 years trying to find a liveable non-toxic rental, and finally built a house from scratch to control the building material used. Shopping for groceries is a nightmare, it takes us 3 to 6 hours, and multiple different stores. We’ve stopped shopping together. Her conditions complicates all things having to do with cleanliness (used to be extreme, now we try not to be in the same room), extending to our pets (two cats). Yet, like one of the examples you used in the article you suggested, she need visual clues. So, our common spaces are a permanent mess. I will pass over any intimacy comment, except to say it has been too often anti-climactic, and humiliating to me. And I’m not a slob. So yes, we both have conditions that trigger the other person. But I know I can have blind spots, and openly admits when I’m wrong, or even slightly wrong, hoping she will also be able to do her own self-searching. It hasn’t worked that way. Despite insisting (for years) we meet a third-party to help reflect our communication styles and content, it hasn’t happened. Moreover, she has been canceling every appointment made lately to meet with a therapist for herself. Her goal was to please me: so that someone else could articulate to me what she’s trying to say, what are the reasons she is basing her wanting to terminate the relationship. because from where I stand, love can bear a lot, and work toward the betterment of the other even if it’s not easy, or always rewarding. Seemingly we don’t share that opinion. Maybe she is doing me a big favor by acting this way, but it’s been a pattern early on: her opinion of people and evaluation of life goes through the grid of being victimized, deprived of opportunities, having hopes differed, living in a toxic world, etc. 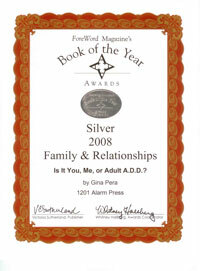 In your book you state that in some cases ADHD could make the spouse physically sick. But she has been this way for most of our 16 years of marriage. I am very broken over the pain she has endured as a direct result of my ADHD conditions, that is something I have told her on several occasions. However I put a ‘but’ in there: but just as I have tried to work with her to help her find tools and ways to conquer the debilitating dynamics of her conditions for her own sake, and the sake of our relationship and future (those that seemed obviously disruptive), I was expecting to be loved this way too. I don’t know that there exists a better way to show love to your spouse than really coming alongside and help them through conquering what is stealing their life and joy. Without lording it over them. Heading to my new therapist today, 2nd session. What you describe sounds exceedingly difficult for anyone, and perhaps excruciatingly so for a person with ADHD. Chemical sensitivities at the level you describe, for example, suggests some profound immune-system, gut-brain issues. From your description, she is not working so much on resolving those issues as contriving her environment to address them. I’ve never seen that to work. Especially when it comes to another person. I hope you can consider taking a break from the relationship—getting some space to see how you feel and can re-assess. Is there a form that my spouse can fill out on what she sees that males her think I have Adhd. Like the ones parents do for their kids. Sorry for delay. I’ve been on the road and then sick. You might want to ask your partner to jot down details as she reads each trait — examples that she perceives you struggling with. I encourage you to do the same, independently, and compare notes. When our daughter was in 10th grade, she was exhibiting some behaviors that I thought would be helped if we sought out family therapy. During those sessions with our daughter, which my husband also attended, the therapist told us that she thought our daughter had an attention deficit. The therapist later told us that a parent usually is dealing with the same issues, and the light bulb went on. It was like an epiphany. My husband has undiagnosed and rampant ADD that has been enabled and in fact encouraged his whole life. Now, as we look at the dissolution of our marriage and family, he refuses to do anything about it. Says he is functioning, even though it is and has been toxic to everyone else in the family. He is choosing to lean into his ADD, embrace it, even, as he has decided to leave our marriage. He is very much in denial about his ADD and how it negatively affects his life, as well as how it has negatively affected our family over the last 23 years. He says he isn’t able to envision moving forward in our marriage, can’t see any scenario where he addresses his issues and gets better. Thinks I want to “reprogram” him. I’m so sorry that he has chosen to embrace ADD and will keep denying how much trouble it brings him. As for me, I am mourning the loss of the most important relationship in my life. I wish I had known. What a shame. I’m sorry you didn’t know, either, and thanks for your comment. 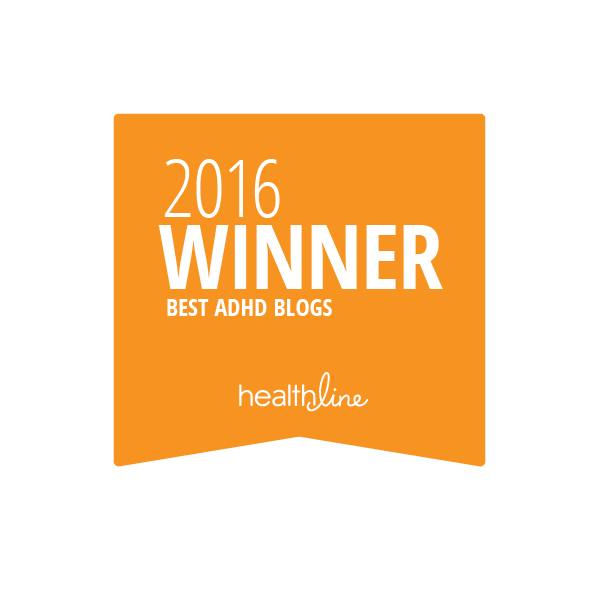 Unfortunately, “denial” is not uncommon with untreated/poorly managed ADHD. Neither is narcissism. I usually advise that the partners get educated and supported before ever approaching a spouse who would likely incline in that direction. (Many adults with ADHD are grateful for the suggestion and embrace it, but many others do NOT.) It is very instinctive for some to oppose, reflexively. Especially if they feel they have to figure it all out. That is, find a professional to evaluate, find therapist/prescriber, etc. So they just say no. Unfortunately, there are many narcissistic hustlers peddling the “ADHD gift” line to an extreme that scorns legitimate treatment. Many of them have self-proclaimed ADHD and so they claim to have special knowledge. I find these people dangerous and dangerously omnipresent online. Unfortunately also, many ADHD coaches use this tactic to market themselves and then have only pandering and narcissistic supply to offer their clients. To help you understand him better…even if the marriage cannot be saved, you will always co-parent, right?…I encourage you to read my first book. 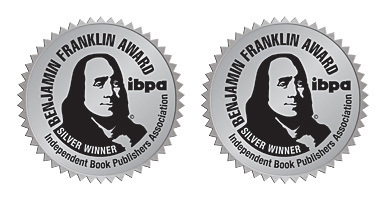 Including the chapters on denial. I hope you are moving on to a happier life. How did you make the connection to partner’s ADHD? A: How/when I noticed my husband has it: It was about the time of our 2nd-3rd date when we had been dating. I noticed the things he’d say, the way he treated others, and the way he’d behave. After the date he dropped me off. Later I thought to google the behaviors, so I did. Google gave me ADD & ADHD and other red flag behaviors. I didn’t want to believe all them as was becoming into this guy. The longer our relationship lasted, the more the *2nd date google searches, as we call it* started to show. Family and friends no longer supported our marriage due to his behaviors. It wasn’t until the ADD coach taught us about ADD & ADHD behaviors did we notice he has no control over his behaviors, as they said the ADD & ADHD brain take total control over those who suffer it. We had also been advised to search the web. Everything all started to make sense in the behaviors, what causes me to behave & respond the way I do/did, the dysfunction and chaos in all areas of life and home life. But I made a vow when we married. *poor or rich, sickness or health* and the vow I shall keep. I’ll scarifies my hippieness for his and to keep my marriage oath. We also learned that ADD & ADHD also is attached with autism syndrome. Weather we have a spouse working at NASA due to smartness and kid free behaviors! But when my spouse walks through that front door after arriving home; the kid comes out, the ADD comes out, the ADHD comes out, the obvious signs of autism comes out. we learned from ADD coach: Autism and ADD is linked. Autism and ADHD is linked. Thanks for your comment. Yes, sometimes the “signs” are seen early but we don’t know what to make of them. I hope that you will revise your perspective about ADHD being something that your husband “has no control over” and therefore you must sacrifice your happiness. That is absolutely wrong. Yes, symptoms are neurobiological in nature, but there are also bad habits that come from living years without diagnosis or treatment. 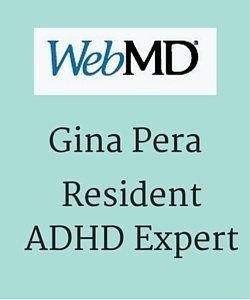 Medication can mitigate many ADHD symptoms. In fact, ADHD is considered a highly treatable condition. There are some excellent ADHD coaches, and then there are some that should not be in this line of work; their information is inaccurate and harmful. I urge caution in where you find your information. As for the autism and ADHD, no, sorry, there is no link, though I know that is a popular myth online. It is true, however, that the incidence of ADHD in people who have ASD is high. But that does not go in the other direction — that is, most people with ADHD do NOT have ASD, too. Clear and accurate information is necessary to find our way out of chaos, confusion, and dysfunction. You will find that in my books and on this blog. 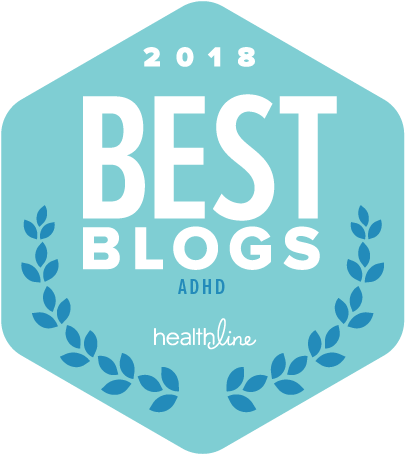 I found out that my husband had ADHD when two of our three birth children were diagnosed before they were five years old. Our third birthchild realized she had signs of it when she was a junior in high school. I previously had two birth children with my first husband who passed away. Those two children, now adults, never had any signs of ADHD. You would think that the doctors would have done some deductive reasoning to find out that the donating DNA was my *new* husband since I was the birth mother to all five. However, when I could juggle all the ADHD running rampant I became depressed. Therefore, they blamed the tire ADHD issues on me. I was treated instead of my undiagnosed husband who CLEARLY had it. He lied, spent all our money, owed back taxes, hyper focused on guns and spent all our retirement without me knowing it. We are currently, after 35 years, are getting divorced. Was is worth it? NOT FOR A SINGLE SECOND! I’m so sorry that happened to you, as with too many others. ADHD is the “Elephant in the Room” of our culture, of doctor’s offices, etc. I wish you all the best in this new phase of life. I know it will be happier than the last 35 yeas. At least, I’ve heard that from others.